After nine years together April and Andy have have decided to make their union official in front of loved ones and friends this September. 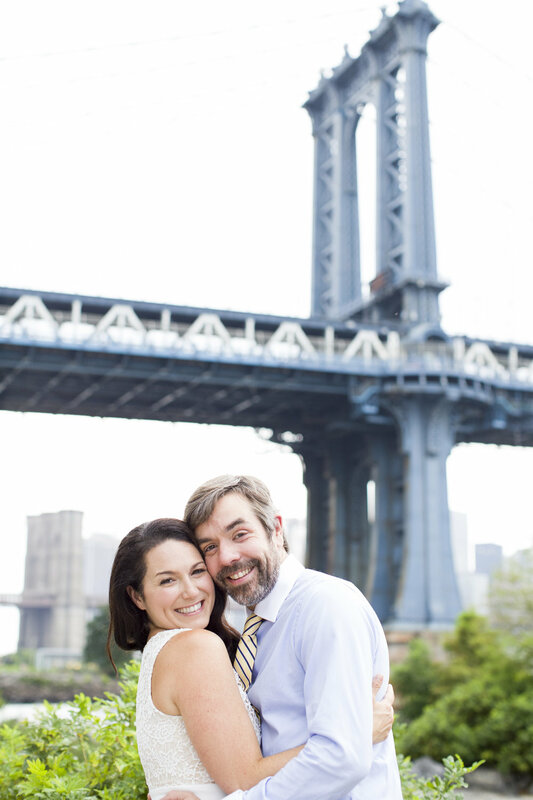 I met up with A&A on a Summer evening in DUMBO to photograph them before their big day (which I cannot wait to photograph!) and capture them together one last time before they are hitched. We started off just north of the the Manhattan bridge and made our way down to the Brooklyn Bridge. As we moved towards the Brooklyn Bridge and the Summer Sunday crowds thickened these two were warmed up enough to carry on their session in front of hundreds tourists and New Yorkers alike. After seeing how adorable and sweet these two were together when I was photographing them it was easy to realize just how everlasting and fluid their love is and will be. Such a lovely engagement session and I can't wait to photograph these two on their wedding day.